Did the speaker-in-waiting reveal “a clear and unequivocal misuse of appropriated funds for political purposes” in the targeting of Hillary Clinton? House Majority Leader Kevin McCarthy, the hapless California Republican who on Thursday abruptly quit the race he was supposedly to be leading for speaker of the House, is scrambling to explain why he bragged on national television about the success of his caucus’s investigations of Hillary Clinton as a political intervention. McCarthy says he was really trying to say something other than what he said when he said what he said. But he is the one who sounds kind of “untrustable”—even to a few of his fellow Republicans. The fiasco certainly contributed to the Californian’s collapse as a contender for the speaker’s job. But he remains the No. 2 man in the party’s House leadership. And his acknowledgement of the political calculations of his caucus ought not be neglected, even as McCarthy scrambles out of the spotlight. Clinton, who has long argued that the Republican inquiry is “about politics,” is having a field day. But there should be a parallel call to determine the extent of political manipulation of the governing process by excessively-partisan congressional Republicans. 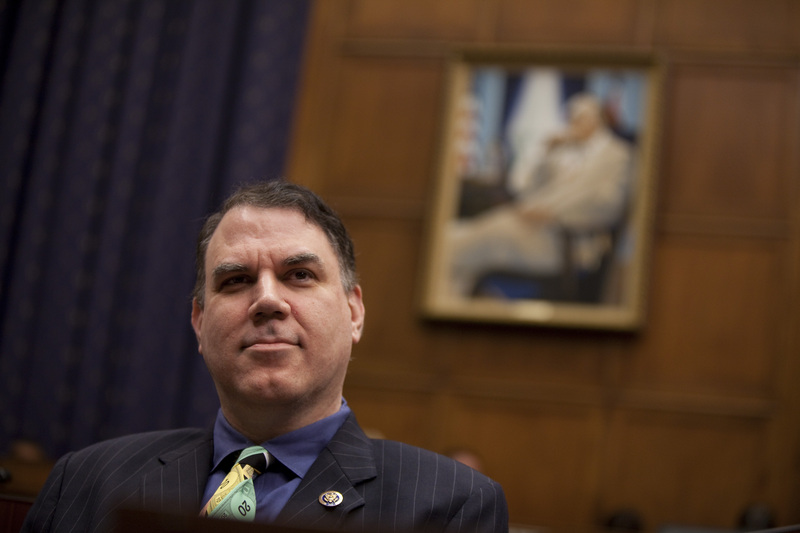 Congressman Alan Grayson, the outspoken Florida Democrat whose background is as a hard-charging plaintiffs’ attorney specializing in whistleblower and fraud cases, is all over this issue. On Wednesday, Grayson filed an ethics complaint against McCarthy and Congressman Trey Gowdy, R-South Carolina, alleging that the high-profile Republicans violated federal law and the rules of the House by using tax dollars appropriated for the Benghazi Committee to fund a political project. “This represents the new McCarthyism — the misuse of [federal] funds for political purposes to vilify a political opponent,” Grayson told CQ Roll Call. The complaint, outlined in a three-page letter to the Office of Congressional Ethics, cites the Hannity interview as evidence that the House Select Committee on Benghazi, which Gowdy chairs, set out to embarrass Clinton. “That’s a confession that this is totally for political purposes,” argues Grayson. On September 29, 2015, Representative McCarthy appeared on The Sean Hannity Show on Fox News, and he stated that the true purpose of the Select Committee on Benghazi was not to investigate the tragic death of four Americans killed during the terrorist attacks on U.S. facilities in Libya, but rather to drive down the poll numbers of Presidential candidate Hillary Clinton. Specifically, Representative McCarthy stated that: ‘Everybody thought Hillary Clinton was unbeatable, right? We put together a Benghazi special committee, a select committee. What are her numbers today? Her numbers are dropping. Why? ‘Cause she is untrustable. But no one would’ve known any of that had happened had we not fought and made that happen.’ This is a clear and unequivocal misuse of appropriated funds for political purposes, which is prohibited by the regulations of the Committee on House Administration. Even though Gowdy admits “Kevin screwed up,” it is difficult to make ethics complaints of this sort stick. Yet, Grayson is building the case for an inquiry into the inquiry. The Agenda Project Action Fund, a progressive group that has focused on getting citizens engaged in addressing political and corporate wrongdoing, has begun circulating a video titled “The New McCarthyism,” which demands that Congress “investigate the investigators.” The video attracted more than 200,000 views in two days.